If the injuries you receive in a car accident, truck accident or motorcycle accident cause you to be unable to perform your job or otherwise earn income, how will you survive? As a Covington Auto Accident Lawyer I have helped thousands of clients deal with this issue over the past 29 years of practice. This issue is more prevalent today, because people have less insurance and other benefits that would help them through this difficult period. Many accident victims cannot afford health insurance and, therefore, have a limited ability to pay medical bills. Employers used to provide long and short-term disability insurance to replace income lost due to injury, but not many can afford to provide these benefits today. 1. Workers’ Compensation Insurance – If injury occurred while you were working, you will receive 2/3rd’s of your wages while you are unable to work, medical expenses paid in full and an award for permanent disability if you have a permanent injury. 2. Employer provided or private disability Insurance (normally have to be off 30 – 60 days before benefits start). 3. No-Fault Insurance pays for lost wages and medical expenses (minimum of $10,000.00 provided for lost wages (limited to $200/wk on most policies) and medical expenses). 4. Personal injury loans – There are companies that are willing to make loans to you for a high rate of interest to be repaid at the time of settlement. These companies should be used as a last resort. If you have equity in your home, it would be better to take out a home equity loan. Covington Auto Accident Lawyers are prohibited by the Kentucky Bar Association from loaning clients money, although some break the rules to obtain cases. 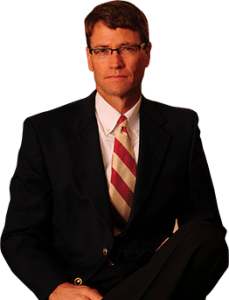 Covington Auto Accident Lawyer Matt Troutman of the Troutman Law Office will help you work with medical providers to pay them at the time of settlement and help you maximize all insurance benefits to reduce the financial distress caused by your inability to work. Call Matt directly or by email at troutlaw3550@gmail.com.